It’s hard to believe that Fourth of July is just around the corner. Here in Possum Kingdom, we love to make our celebrations big! Every year, friends and family gather on boat near Hells Gate, or on land at the YMCA to enjoy one of the best shows in the area. This year is no different. The Possum Kingdom Firework show will take place on July 7th. If you plan to enjoy the show at the YMCA, the gates will open at 6:30pm and there will be no entry after 8:45pm as the show will be starting soon thereafter, and there is a $5 per person entry fee. With so many firework shows and cook-outs to attend in the days leading up to the holiday, I wanted to take a minute to remind everyone of some important firework safety tips. - Obey all ushers or monitors and respect safety barriers to allow the trained operator room to safely do his job. Resist any temptation to get close to the actual firing site. The best view of the fireworks is from a quarter of a mile or more away. - Although rare, a firework component might fall to the ground unexploded. If you find any, do not touch it – immediately contact the local fire or police department. - Leave pets home. Dogs especially have very sensitive ears and the booms and bangs can be quite uncomfortable. In fact, the noises can actually injure their ears. - Leave your own fireworks at home. 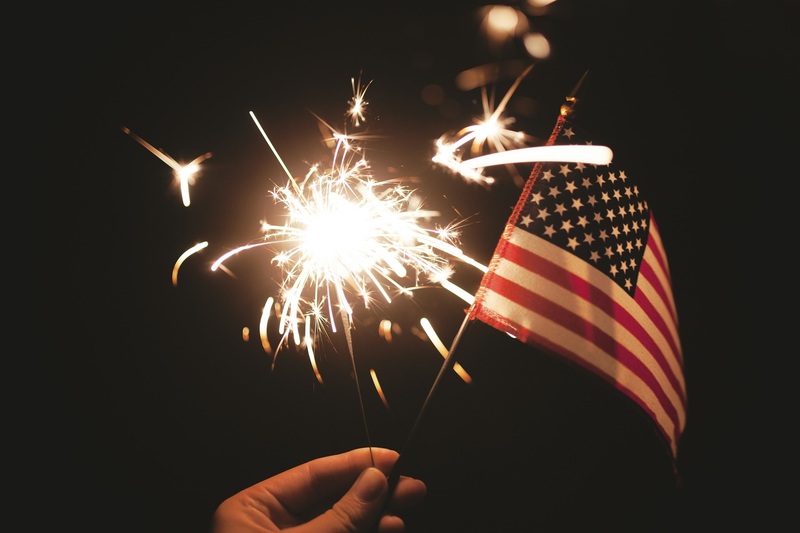 Sparklers, fountains and other items that many states allow for private use are not appropriate to use when a large crowd is present. - Only purchase fireworks only from licensed outlets. Follow package directions. Store fireworks in a dry, cool place. - Never allow young children to play with fireworks, not even sparklers. Older children should only be permitted to use fireworks under close adult supervision. Do not allow any running or horseplay. - Light fireworks outdoors in a clear area away from houses, dry foliage and flammable materials. Keep a bucket of water nearby. Keep unused fireworks away from firing areas. Be sure people are out of range before lighting fireworks. - Wear safety glasses when lighting fireworks. Light one firework at a time, then move back quickly. Never stand over fireworks when lighting. Do not try to relight or handle malfunctioning fireworks. Douse and soak them with water and throw them away. l Do not fire off aerial fireworks in windy conditions. Never ignite fireworks in any kind of container. l Never carry fireworks in your pocket, point or throw fireworks at people or animals, or use fireworks as weapons. l Dispose of fireworks properly by soaking them in water and then disposing of them.